Christmas trees are the centerpiece of many homes during the holiday season. While any tree will brighten up a room with its twinkling lights and sparkling ornaments, one that is decorated with thought becomes a real masterpiece. 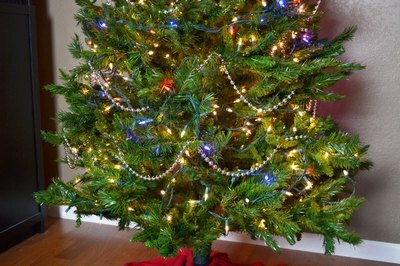 Part of creating a beautiful tree is the proper placement of the decorations such as strings of beads or garlands. 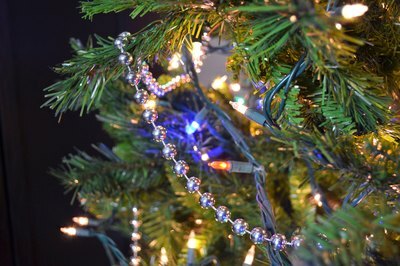 Instead of simply hanging them haphazardly onto tree limbs, hang beaded strings purposefully for a more balanced look. 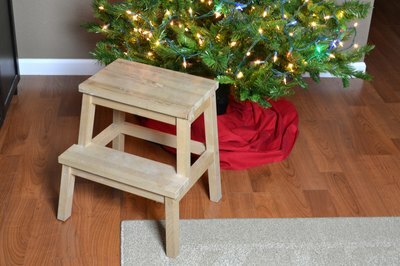 Set a step stool next to the tree so that you can easily access the very top. 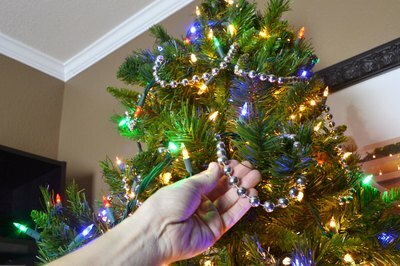 Place the end of one bead string into the top center of the tree approximately 4 inches from the top. Wrap the end around a branch once or twice to secure it, making sure that the end is not visible from the outside of the tree. 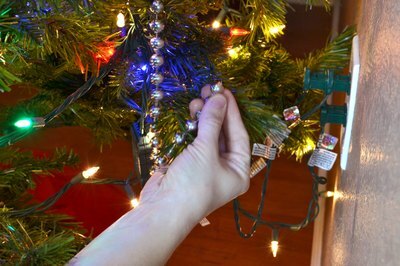 Loosely drape the bead string down and around the tree in a spiraling motion. Space each spiral at approximately 8-inch intervals on the top third of the tree. Go back and drape the bead string in between the tree branches after wrapping the beaded string around the tree two or three times. This creates a more pleasing visual effect rather than having a straight spiral pattern. Continue wrapping the beaded string around the tree. Begin spacing the spiral loops at smaller intervals one you pas the top third of the tree. The spacing between spirals can be reduced to around 6 inches apart. Tuck the end of the beaded string into the center bottom of the tree so that it is not visible. Stand back and look at the tree. Make any adjustments to the bead string, such as making additional drapes. 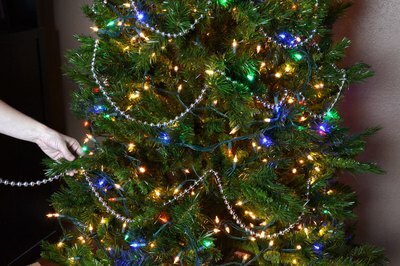 Learn how to add garland to an artificial Christmas tree in this free holiday video.